At the American Bus Association’s Marketplace in Nashville, DePaul University of Chicago released its annual report showing the seventh consecutive year of growth in departures for the point-to-point segment of the motorcoach industry. 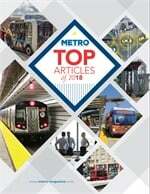 The Chaddick Institute for Metropolitan Development at DePaul University comprehensive report, entitled "Motoring Into the Mainstream / 2013 Year-in-Review of Intercity Bus Service in the United States," takes an in-depth look at where the motorcoach industry is going in terms of scheduled point-to-point service and ticket prices compared to Amtrak and commercial airlines. 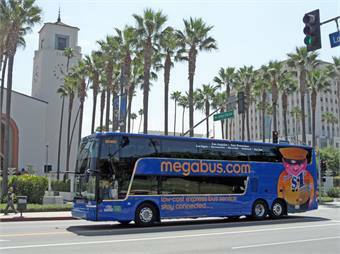 City-to-city motorcoach carriers, such as Megabus.com, Greyhound Express, Bolt Bus, DC2NY and others, are leading a sustained period of growth in the motorcoach industry, while scheduled traditional carriers, including Greyhound and Trailways, are showing steady year-to-year growth, according to the report. "Travelers are flocking to the bus. Not only for [the obvious benefits of] the low fares, but also to avoid the stress of flying and driving," said Joseph P. Schwieterman, director of Chaddick Institute for Metropolitan Development, while announcing the study results. When traveling by city-to-city bus, a consumer saved 51%, in comparison to city-to-city rail, and 79% relative to flying (with advanced purchase airfare) in the fourth quarter of 2013. City-to-city, express bus carriers provided American travelers savings of $1.1 billion over the past year.